"I'm so obsessed with stripes!" "Loooooving the color blocking over at J.Crew right now!" "Thank you, dear ladies, for all of your lovely comments!" It makes me smile, honestly. I can picture them as butterflies congregating around Choice Flowers, fluttering happily from one brightly colored blossom to another, sharing finds, encouraging one another, excitedly discussing the merits of one variety of pollen over another. Although I am not a fashion or style guru by any means (not by a long shot! ), I find it somehow restful to browse a few fun blogs, mainly to drool over beautiful dresses and accessories that I could never afford, but also to pick up some tips and ideas on how to combine the things I already have. Of course, my blog-browsing has another side effect. It makes me buy more things than I really need. I recently found myself "obsessed" with the need for coral shoes. I have a navy and white striped dress, and I thought coral shoes with a nice high heel would be the perfect "pop of color" to add spice to my neutrals. What ever shall I wear with these beauties? So I bought them, naturally. Via DSW, ordered online. They arrived in a box that said "Highly addictive contents inside." Fabulous. 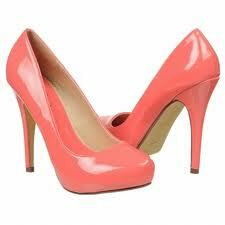 Now I might have to buy more clothes that will work well with my new coral pumps. And once I buy more clothes, I might have to buy more shoes. And bags. Oh my. You see, I am also frolicking among the flowers, butterfly style. Then Lent begins to cast its long shadow over my liturgical calendar, and I wonder what to do this year, since I was a turd last year and did absolutely nothing. I forgot. I was busy being a new mom. At first, I thought maybe I should do something like a special consecration to Mary this year. 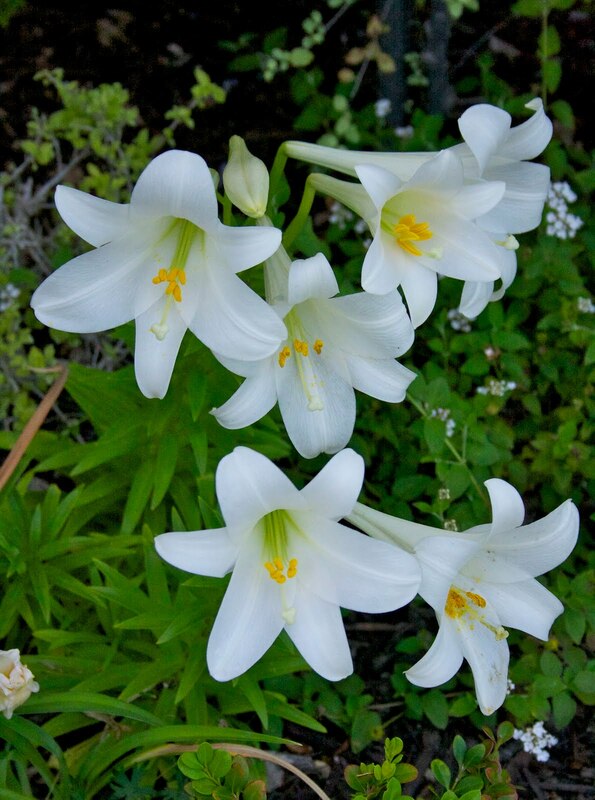 But when I looked over the St. Louis de Montfort prayers, there was a text saying, "This prayer is not to be done lightly" and I felt that my frolicking among the flowers disqualified me from even beginning it. I already see that I would have to change so many things, and instead of spending extra mental energy and money looking for the right shoes to wear with a dress, I will have to do something substantial like serve the poor or pray. Or something. I thought, maybe I should give up Facebook for a while. After all, I could live with a little less narcissism. But the reality is, I hardly have time for it anyway. Giving it up would not be that hard. X-nay the typical food resolutions like no chocolate or soda. I don't think God cares about what I eat, as long as I'm reasonably healthy. And I think diets mess up women's psychologies, creating a kind of obsession with food and calories that is counterproductive in the end. That's a no-go zone. Then it hit me: give up shopping. Give up the thrill of the chase, the pursuit of color and shape and design and self-indulgence. Oh... that hurts. And since restraining myself from buying things is only half of the picture, then I have to think about what to do with the money I am not spending on myself. Frolicking is on hold till Easter. Oh God... here comes the big B word. Budget... agh. It has been looming on my horizon for a while now and I've been denying its existence. I have no debt and I pay $320 for my share of the rent. No car payments. No tuition payments (yet). Can't I live in this nice little bubble where future retirement, house, and college expenses don't exist yet? And then there is the question of contributing to charities. So this year's Lenten resolution will be an education in money management. I don't like it. Not one bit. It's going to hurt, and it's going to imply a change. Self-denial is going to become very quantitative, uncomfortably so. No more frolicking. I'm sure the flowers will return... but not until Easter Sunday.